New FHA condo regulations could bring back “spot loan” approvals this year, allowing buyers to purchase units in developments that haven’t obtained certification. But it will be so hard to get a spot loan approved that the rule change will probably have only a superficial impact, said Dawn Bauman, senior vice president of government affairs at the Community Associations Institute. “It will look and feel like a spot loan, but it will have a super-high threshold of requirements that will be inaccessible to most,” particularly first-time and entry-level condo buyers, Bauman said. Spot loans are important for sellers whose condo associations haven’t applied to FHA for certification. Under current rules, without FHA certification of the development as a whole, no unit is eligible for an FHA mortgage. The National Association of Realtors has been lobbying FHA to revise its condo rules to make it easier for condo associations to get developments certified. Before it will certify a project, the FHA evaluates a homeowners association’s financial accounts, reserves and insurance, plus characteristics like the renter-to-owner ratio. NAR would like to see rule changes regarding minimum owner-occupancy ratios, maximum concentration of investor-owned units, and delinquent homeowners association dues, among other issues. Joseph Ventrone, NAR’s vice president of regulatory and industry relations, said he expects FHA’s new condo rules to be similar to those set by Fannie Mae and Freddie Mac, which are notably more relaxed. “They’d be wise to get these regulations out sooner than later, because right now countless prospective buyers are being kept from making a purchase that could change their life,” Ventrone said. The FHA declined to comment on whether it might loosen its certification restrictions and allow spot loans to buyers. But the Obama administration surprised many observers in kicking off the new year by heeding calls to roll back FHA insurance premiums, a move that’s expected to save the average borrower $900 a year and boost the number of first-time homebuyers entering the market. FHA plays an important role in helping first-time and minority homebuyers obtain financing. 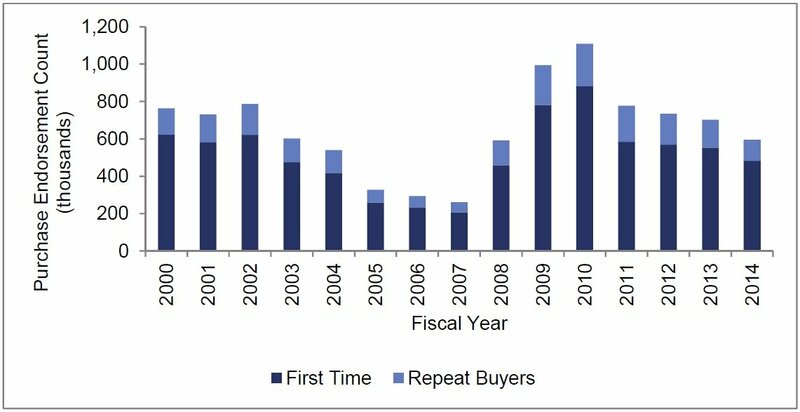 During the year ending Sept. 30, 2014, FHA insured 595,000 purchase loans, 81 percent of which were taken out by first-time homebuyers. While FHA insured about 1 in 4 purchase mortgages taken out nationwide (23.4 percent), it accounted for nearly half of purchase mortgage financing for African-American and Hispanic borrowers (47 percent).